CUBG CEO Larry Middleman shares his thoughts on the business lending landscape for CUs at the CUSO's national conference. 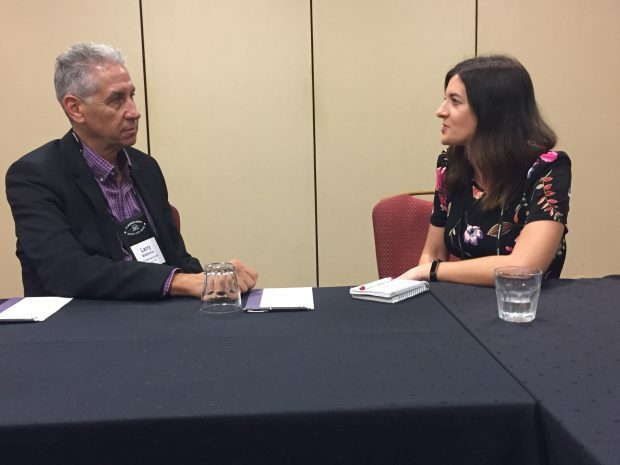 CUBG CEO Larry Middleman discusses business service challenges with CU Times Managing Editor Natasha Chilingerian at the 2018 CUBG National Business Conference. Just before CU Business Group’s 2018 National Business Conference kicked off Sept. 24 in Savannah, Ga., CEO Larry Middleman shared his thoughts on the business lending landscape for credit unions and how CUBG is addressing current business service challenges.